Well done Matt for runner up. Roll on the next competition. We would like to thank everyone that came to the Curry Night. What a wonderful & successful night it was. And what a great selection of curries. Now we would like your suggestions for our next themed night. The quiz last night was a great success, everyone enjoyed themselves. The photo below is produced by the kind permission of everybody that took part in the quiz. 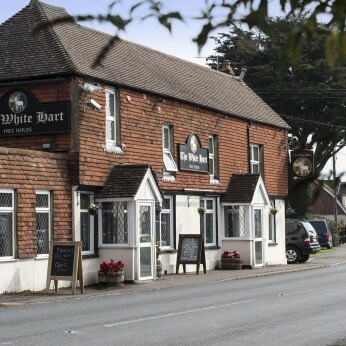 Just to let all our customers know that The White Hart Restaurant will be open again from Tuesday 15th January. Come and check out our new menu. Wishing all our customers a Very Happy New Year from us all at The White Hart. Wishing all our customers a Very Merry Christmas & a Happy New Year. Don’t forget to book your table for Christmas Dinner at The White Hart. Phone, email or pop in to book your table.